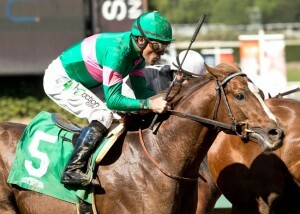 Ziconic Catches Soft Santa Anita Maiden Field: Break out the articles of high praise! 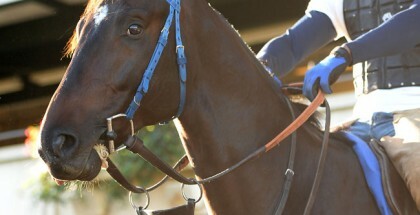 Famous 3-year-old colt Ziconic is entered in an easy maiden field on Friday at Santa Anita Park, and he appears likely to win. 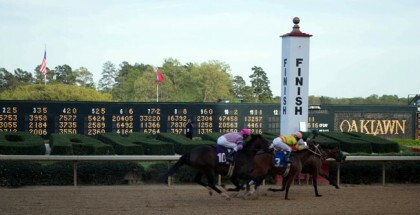 The two-turn route on dirt is scheduled as Race 4 on the card. Conditioned by John Shirreffs and owned by Mr. and Mrs. Moss, Ziconic recently finished third in a seven-furlong maiden race on the same racetrack. The Tapit colt is the son of the massively popular Zenyatta, who retired in 2010. While Gary Stevens rode him last time, Zenyatta’s regular rider Mike Smith takes the call for his second start. Stevens discussed the slow break after the race for the track press release, and had a high opinion of Ziconic’s initial effort. He even compared Ziconic to his mother. While Ziconic ran well, the last part of the assessment sounds over the top. In any case, handicappers now must decipher if anything can be criticized about the debut, and whether Ziconic can move forward off the effort. The competition did not exactly seem great when Ziconic ran third. Runner-up Dalmore, who also competes against Ziconic here, previously lost five races including one at the maiden claiming level at Saratoga Race Course. Granted, Saratoga always runs a strong meet, and Dalmore possibly needed more time to mature. In addition, sometimes handicappers worry about whether a late-closer coming out of a sprint race can translate his form to a route. Running a longer distance means the horse might flatten out. At least, Ziconic displays a strong pedigree on paper for routes with Zenyatta on his bottom side, but pedigree analysis is not perfect. If one factor works heavily in Ziconic’s favor though, it is the second-start rule. Maiden horses generally require one race to learn how the game works, especially when under a conservative trainer such as Shirreffs. They improve, at times dramatically, in their second start. Ziconic merits a long look from bettors, despite the lack of value. Even horses from Triple Crown-winning trainer Bob Baffert deserve one race to get the wheels rolling. Magical Mystery, a $350k purchase, ran too awful in his career debut to believe when he lost by 21 lengths. This Unbridled’s Song ridgling must posses a bit more talent, right? The switch to a route might help him wake up. Baffert enters Uninvited as well, and he really began his career slowly with seven losses! To his credit, he finished second last time at the same distance and level. What is wrong with some of these Baffert runners? Inhibition, trained by James Cassidy, deserves attention too as an expensive son of Street Sense out of a Seattle Slew mare. Ignore the the sprint losses since Cassidy does not rush his horses. Inhibition jumped up in his route debut, finishing second to future Rebel Stakes (GII) winner Cupid. Then Inhibition lost his next start by 15 lengths! How did Inhibition go from finishing runner-up to a future graded stakes winner, to getting trounced? 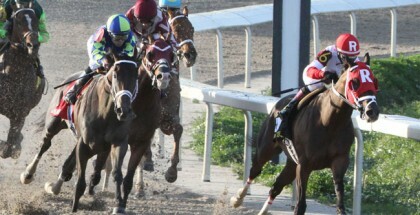 On the outside, the aforementioned Dalmore gives breaking his maiden another attempt. Even though he finished ahead of Ziconic last time, it just feels like Ziconic has the brighter future and Dalmore will be stuck at this level. 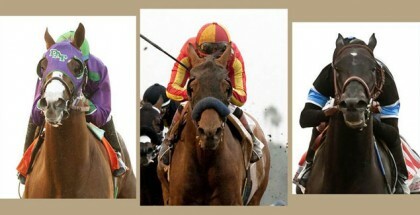 Note that Dalmore makes his two-turn dirt debut, and like with Magical Mystery, the new situation can help. As much as fans hate to hear this, Zenyatta had a one-dimensional running style which helped her lose the Breeders’ Cup Classic (GI) in 2010. She passed this trait to her sons Cozmic One and Ziconic. The difference is, Ziconic actually holds promise and looks set to make fans happy on Friday with a win or close second.